So what can happen if you watch TV shows and movies illegally? Let’s go through some of the recently discovered security threats in the realm of torrents. At the beginning of January 2019, a malicious Windows shortcut file was discovered on The Pirate Bay torrent tracker. It injected content from the attacker into browsers and altered search results from Google and other search engines or Wikipedia, also trying to steal cryptocurrency. The malware was hiding in files for the movie The Girl in the Spider’s Web. At first glance, it looked like just some annoying adware, but after taking a closer look, researchers found the malicious activity is extending to webpages and on Wikipedia entries. The attackers are monitoring websites for Bitcoin and Ethereum wallet addresses, looking to replace them with the ones of the attacker. 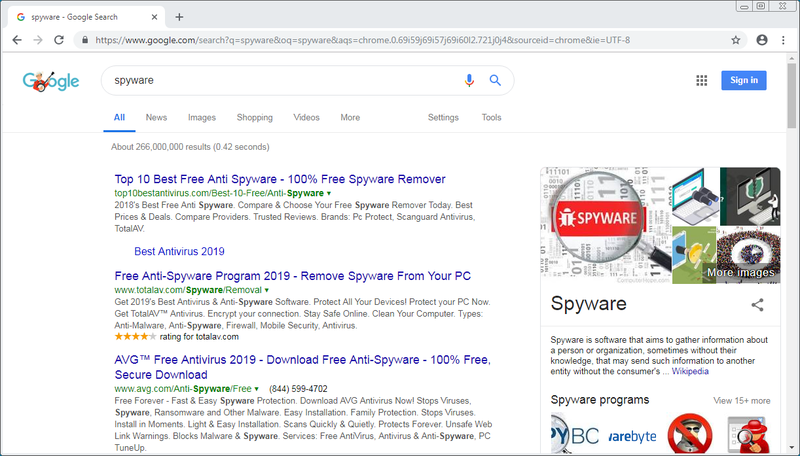 On Google, the malware creates fake ads on the top search results. And when searching for certain terms, such as “spyware”, the first two results take you to a cybersecurity solution called “Total AV”. What’s more, attackers have also created a Wikipedia donation scam, where they insert a fake banner that says Wikipedia now also accepts cryptocurrency donations. For more details, you can read the full story here. The chain of recent malware events associated with torrent websites doesn’t stop here. In March 2019, the “PirateMatryoshka” scheme was also brought to light. What did the torrent files contain? Instead of the software you were hoping to download from The Pirate Bay, you would come across a Trojan, which was disguised as genuine software. If you were to install it onto your computer, you’d ended up buried in adware. This doesn’t stop here, as additional installers can be introduced to bring even more malware and wreak havoc into your PC. Unfortunately, malicious actors are finding more and more ways to attack you. It seems they are now also relying on popular search terms to infiltrate into your system. Even searching for your favorite actor’s name could result in some unwanted results. For example, returns for “Emilia Clarke” are among those most likely to be infected with malware, according to a recent study. By clicking on these results, users are tricked into visiting malicious websites. What these websites can do is steal passwords or other personal info. Never access suspicious links that promise you leaked episodes or exclusive early premieres. Ditch the torrents and illegal streaming websites. Use subscription-based services, such as HBO Go or HBO Now, Hulu, Amazon, Playstation Vue, or Roku. Download the episodes on iTunes, Google Play, or Amazon Prime. Yes, these options are pricier than using subscriptions, but if you don’t want to be committed to a subscription that’s perfectly fine. If these services are not available in your current region, you can consider using a VPN. A VPN deals with these issues and on top of that, it’s crucial for online security. For instance, a VPN can provide good protection against man-in-the-middle attacks. In this case, someone could intercept your online traffic, and the data you think you share securely (for example, financial data) could be easily deciphered by hackers. Beware of illegal streaming services that may look legit and could ask for your money just like a normal streaming service would! We can’t stress this enough – lack of updates create security holes that can be easily exploited by hackers. Use an anti-malware solution to secure your digital life. 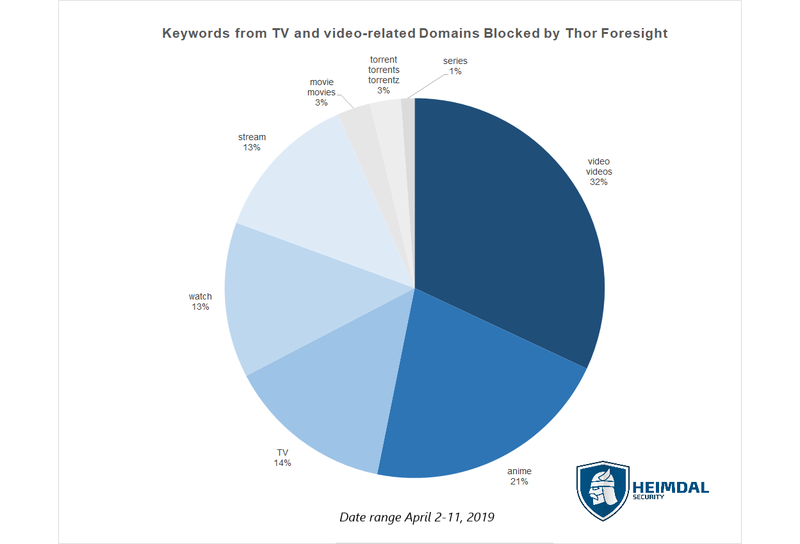 Thor Premium offers you protection in front of the most advanced malware threats and blocks them before they can reach your PC. Are the risks of watching TV shows and movies illegally actually worth it? We warned you, but it’s your decision to make. What are your thoughts on online piracy? How are you planning to watch the final season of Game of Thrones? Share your comments in the section below.